Lots of zombies. No guns. No problem. 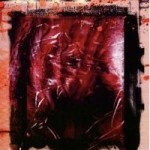 That’s the basic premise of Roger Ma’s The Zombie Combat Manual, an in-depth analysis of the tools, techniques and concerns inherent in facing the living dead mano-a-corpso. 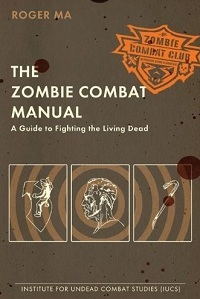 Presented in the same faux-nonfiction style as Max Brooks’s wildly popular Zombie Survival Guide with a much more specific focus, th ZCM offers 300 pages of detailed instruction on every aspect of combat with the undead. 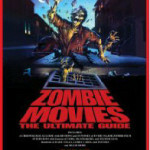 The books starts with a couple of brief chapters on the zombies themselves, quickly outlining the type of zombie we’re talking about by outlining people’s misconceptions about them, their anatomy and a catalog of their strengths and weaknesses. In summary, these are very like the aggregate ideal picture most fans have of zombies — slow moving, killable only by destroying the brain, completely mindless and highly contagious, spreadable by bite or scratch. In other words, nearly identical (with a few specific changes/details) to Brooks’s conception, or to the zombies found in Lucio Fulci’s Zombie for that matter. From there, the book offers chapters on conditioning, choosing weapons and defensive equipment, maintaining said gear, specific techniques used to dispatch the dead, the influence of terrain, environment, etc — basically, an exhaustive combat manual for facing the lively dead. If there’s anything Ma doesn’t cover regarding hand-to-hand combat with zombies in this book, I am far too uninformed regarding fighting to spot it. That’s both the book’s strength and weakness. If you read that preceding paragraph and said “Awesome!” then you are going to love this book. If you read that and said “Why would anyone want that?” you’re probably going to be a little bored — but maybe not. Ma does spice up the relatively technical proceedings with a series of engrossing “combat reports,” detailing various encounters with the undead that serve to illustrate his points. These are universally gripping and, frankly, some of the best parts of the book. 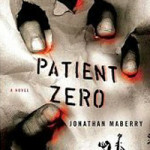 They read something like World War Z and if and when Ma puts out his own zombie novel of that type, it will be a must-read. In general, Ma’s writing is clear, crisp and easy to read. If there’s a criticism to be offered, it’s that at times there’s simply too much detail — but hey, that’s what skimming is for, right? 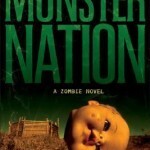 The book does live to some degree in the shadow of Max Brooks, but this speaks more to Brooks’s incredible influence than any lack of merit on the book’s part. Also like the ZSG, it occurred to me while reading that this would make an excellent sourcebook for anyone wishing to engage in some zombie pen-and-paper role-playing. Minus the stats, it could be an RPG sourcebook, albeit much better written than most books of that type. Pair this and the ZSG with any modern RPG system of your choosing and you’re 85 percent of the way there. Even apart from the RPG application (or the obvious utility once the zombie apocalypse actually occurs)Â it’s an enjoyable read for zombie aficionados. It makes a great companion to Brooks’s work and if you’ve been yearning for more material of the type after finishing the Zombie Survival Guide and/or World War Z, I can recommend this unequivocally. Intrigued? Iâ€™ve got a brand-new copy of The Zombie Combat Club to give away to one lucky winner! Just leave a comment (or a comment on the Facebook fan page, or even an @reply on the official Twitter account â€” Iâ€™ll enter you once for each type of reply) telling me what hand-to-hand weapon you would choose to face the zombie hordes. Iâ€™ll choose a winner at random from the entries at the end of the month. Also, don’t forget to read my Q&A with Ma! I’ve always wanted to head into the zompocalypse using a baseball bat. Metal of course, but spray-painted to look like the bat from The Natural. No baseball where I come from, so I’ll choose a cricket bat. i would go into battle with a metal pipe with a sharp end. My wife’s a cook, so we’ve got plenty of good, sharp knives handy. I’d go for our mini-cleaver.